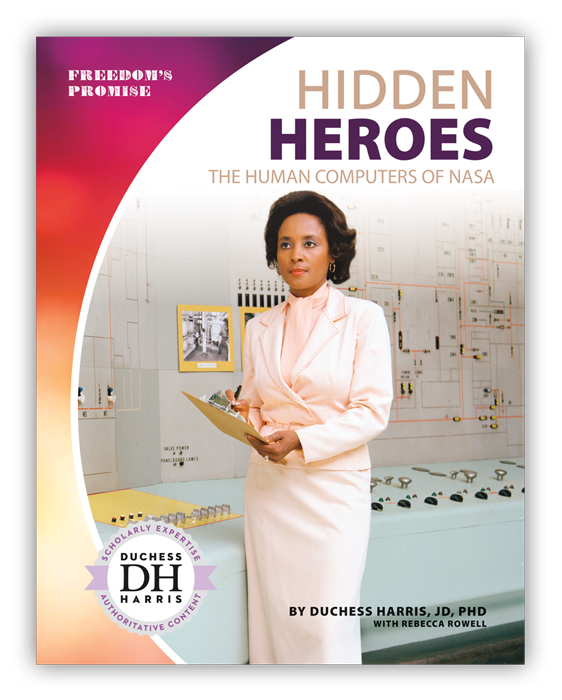 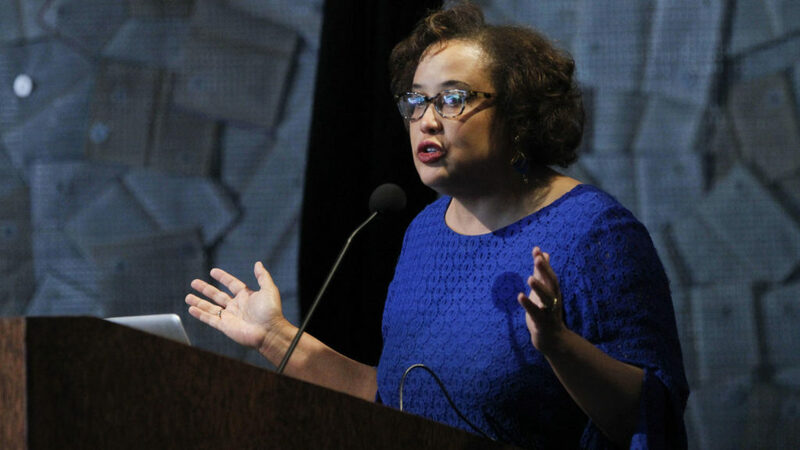 She co-authored Hidden Human Computers: The Black Women of NASA. 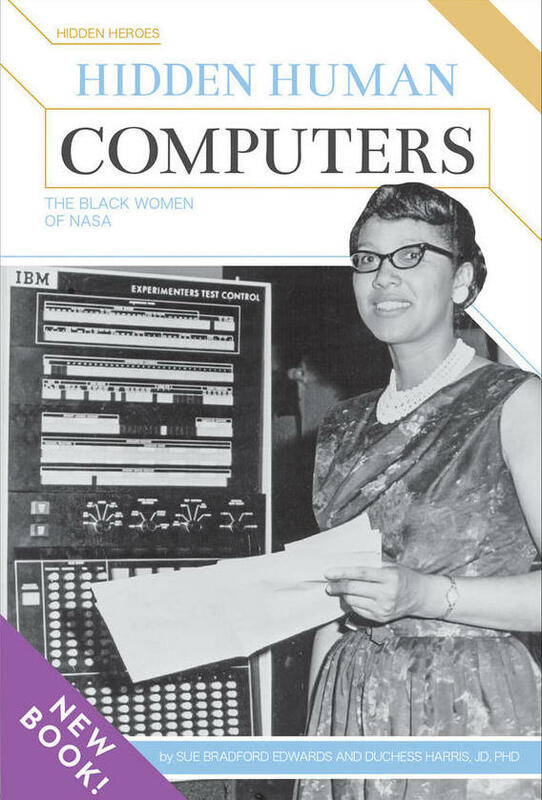 Dozens of African American women worked for NASA as expert mathematicians from the 1940s to the 1960s and almost no one knows about it. 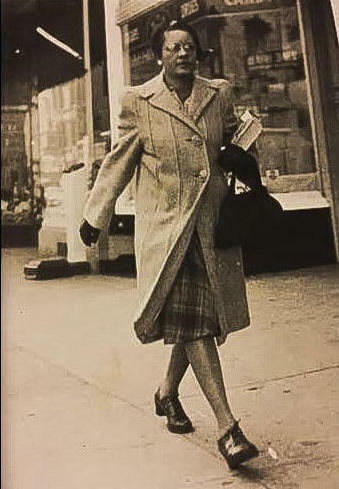 Segregated within NASA facilities in Hampton, VA, well-educated Black women used slide rules and pencils to do the calculations for flights by astronauts John Glenn and Alan Shepherd. 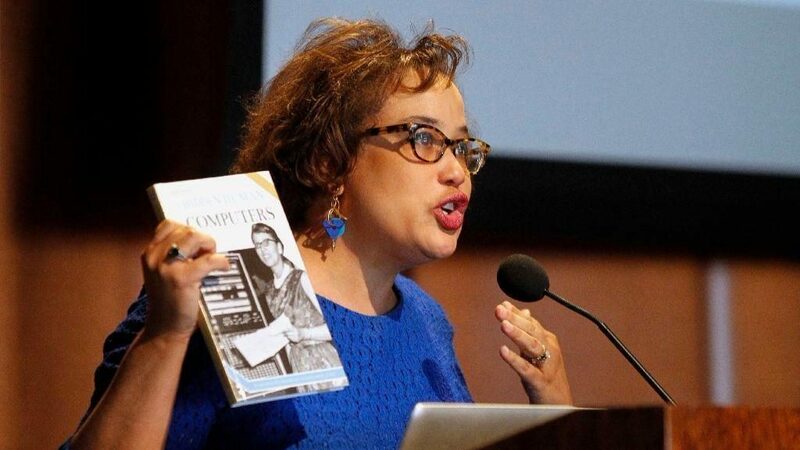 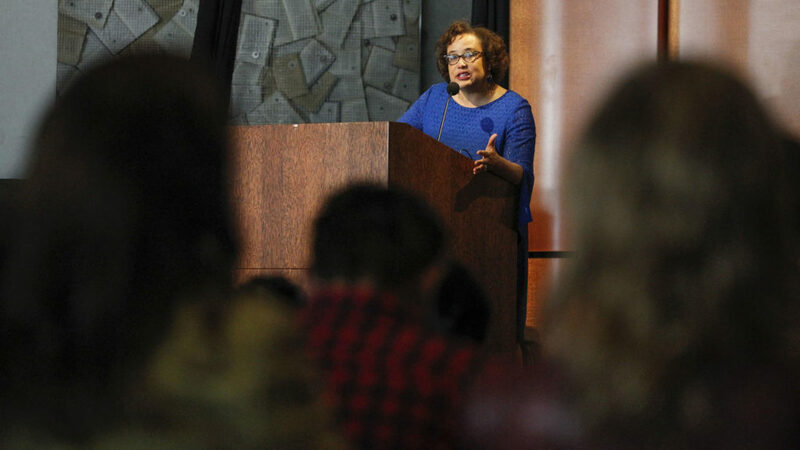 Duchess Harris holds up her book “Hidden Human Computers: The Black Women of Nasa” as she gives a talk about her book at the Neil Morgan Auditorium.